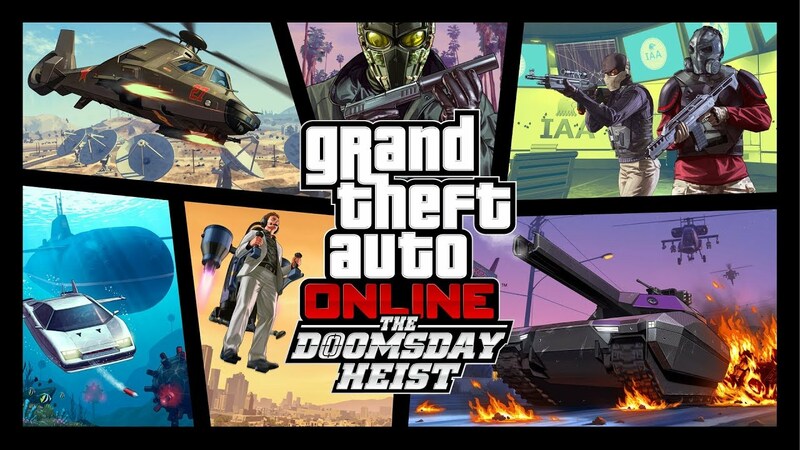 Get your bank accounts ready because The Doomsday Heist is coming to Grand Theft Auto Online and arriving with it will be a whole range of vehicles for players to roam around San Andreas with. Arriving on the PS4, Xbox One and PC, the update will add brand new vehicles and equipment ranging from a submersible car to a jetpack. And if you thought GTA Online has been getting a bit crazy recently, this update will definitely add to that with flying cars and an AI called Clifford. "A billionaire tech mogul, an idealistic intelligence agent, a socially awkward conspiracy theorist and a neurotic supercomputer have been forced into an unlikely alliance to save San Andreas from total annihilation." The Doomsday Heist will be coming to Grand Theft Auto Online on the 12th of December. How hyped are you for this brand new addition to GTA Online?